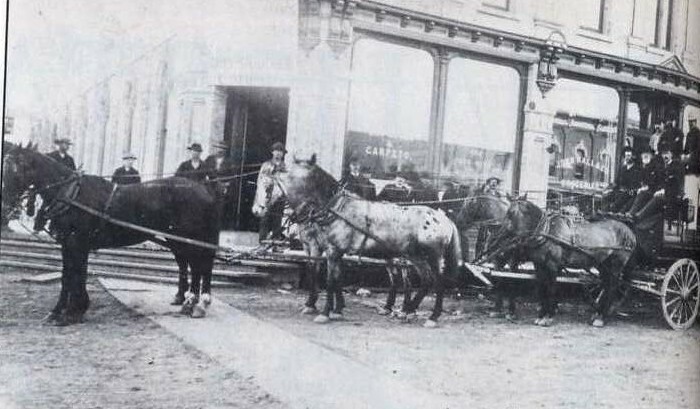 Stage Coach - The Sidney Stage is pictured here in 1880 in the Flormann Block of Rapid City, S.D. 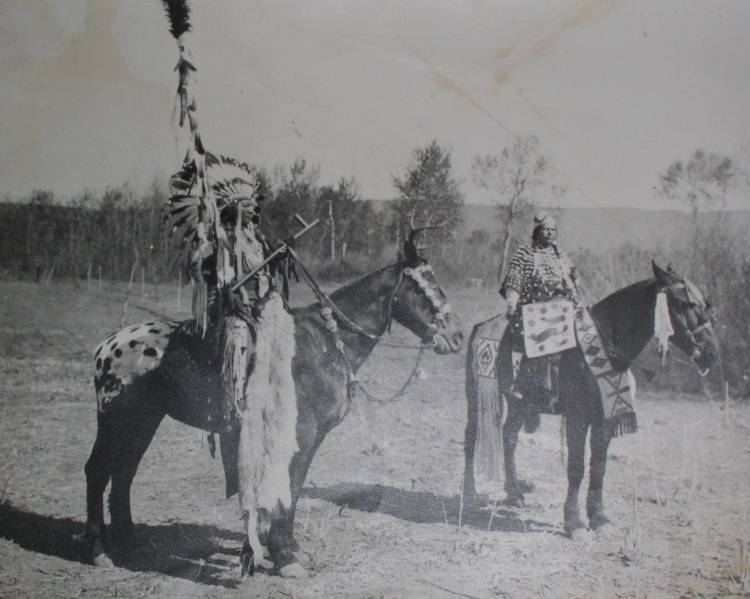 This historical photo, with the prominent presence of two Appaloosas, is a recent additiion to the Appaloosa Museum and Heritage Center thanks to the efforts of Marjorie Berndt of Sioux City, Iowa. 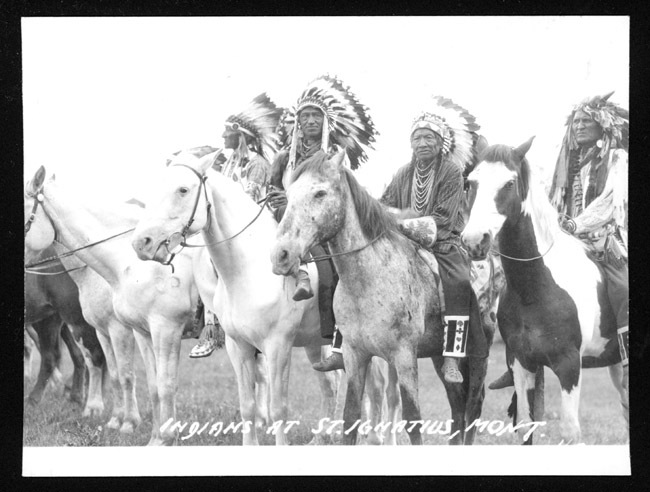 (Photo courtsey of the South Dakota State Historical Society). 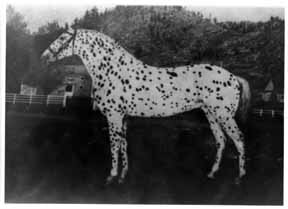 Appaloosa of 1920's - "Western Horseman: This is a picture of my old Appaloosa horse which I was very proud of some years ago. 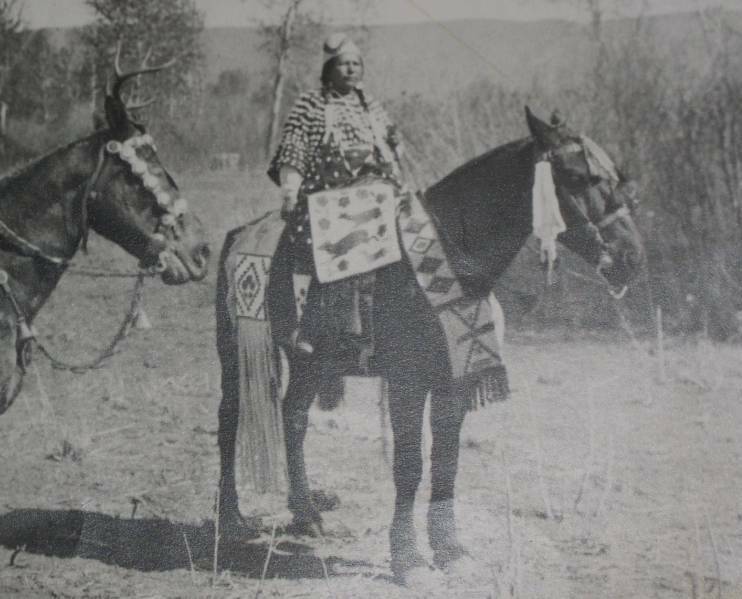 In 1921 and 1922 I won the Polo Cup with him. 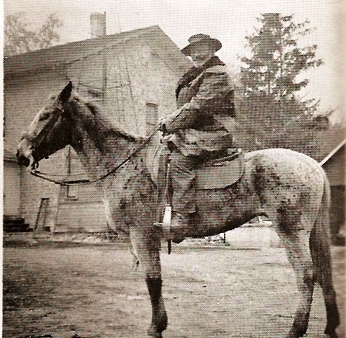 You will note that the type saddle shows that this picture was taken about 1916-1918. The thing on top of the saddle is a grapevine trellis in the background. My old Leopard meant a lot to me, and I wish I had him now as good as he was then. 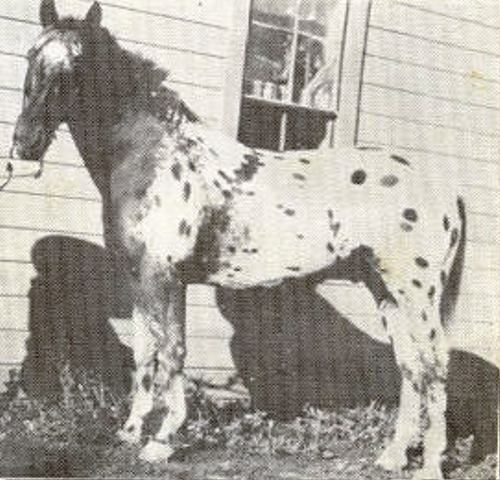 Howard E. Wilcox, West Hartford, Conn."
Baby Patches (S), the grandisre of Patchy #416 who also springs from old Knobby. 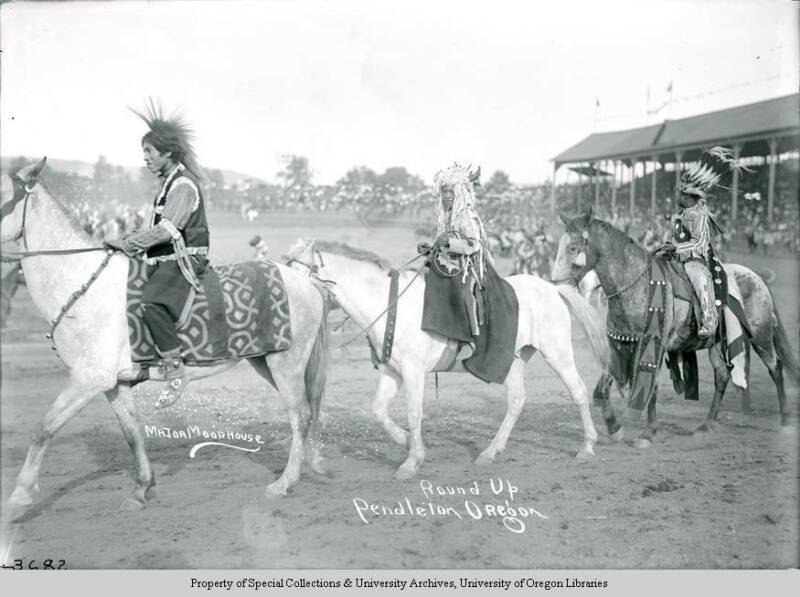 Ben Hur - Historical addition to the photographi exhibit at the Amon Carter Museum of Western Art is this photograph of Joseph C. Miller on his favorite horse, Ben Hur, in 1912. 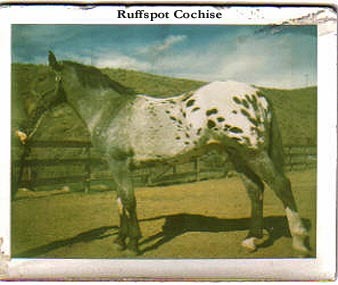 The picture was sent to the Appaloosa Horse Club through the courtesy of Col. F.S. 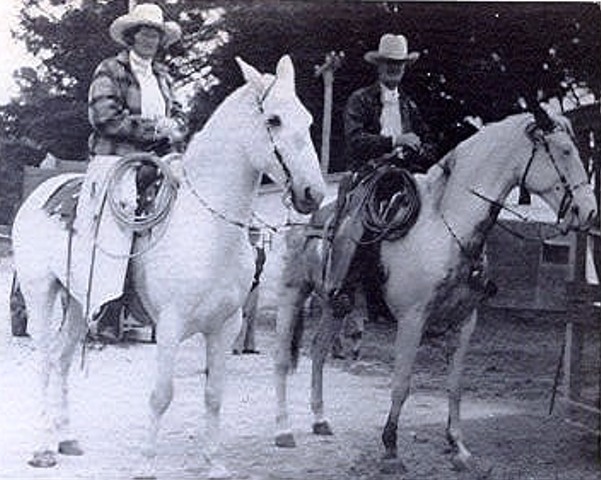 Giles of Tulsa, OK.
Blanco - Myrtle Brown and her husband Ed shared a common interest in raising horses. 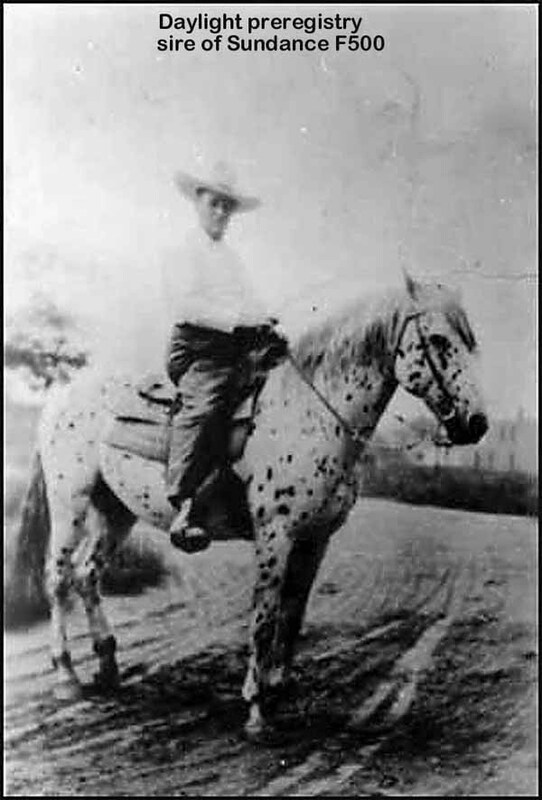 Myrtle is riding Blanco, the Appaloosa gelding she showed at the World's Fair on Treasure Island in San Francisco, Bay, and Ed is on Bonnet. 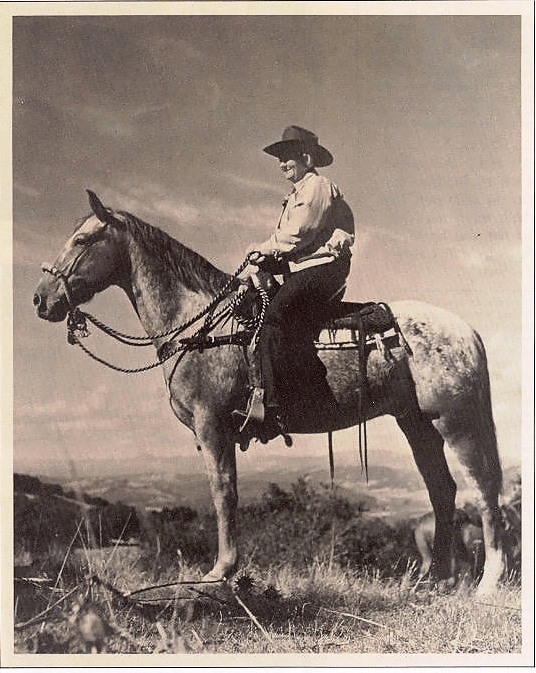 El Capitan - This photograph of Myrtle aboard El Capitan dates back many years. 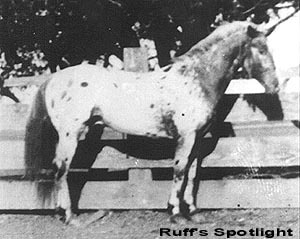 Myrtle showed the stallion at the Oakland National Horse Show in 1921 in the heavyweight stock horse class. 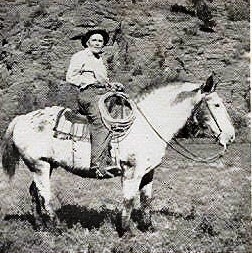 She also entered him in open stock horse, western pleasure and trail classes. 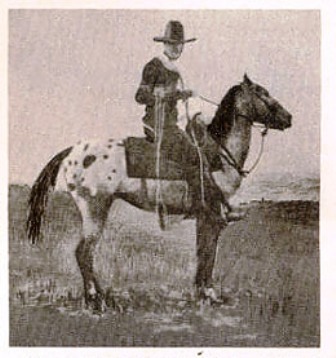 Rawhider - The title of this picture is "Rawhider." 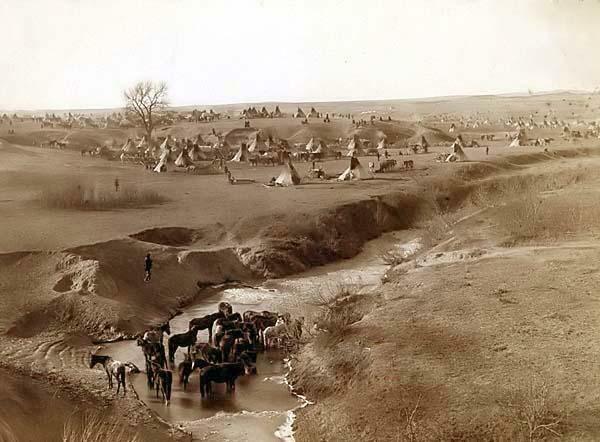 It was taken at Concord, Idaho,in 1900. 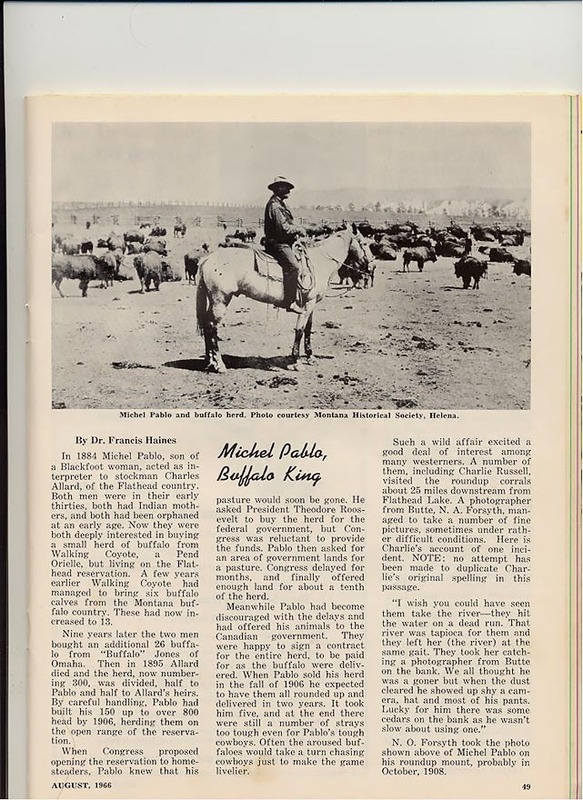 In 1900, Concord, Idaho, was in the heart of the Buffalo Hump mining boom. The Buffalo Hump country is a steep, rocky, high altitude area north of the Salmon River and east of Grangeville, Idaho. 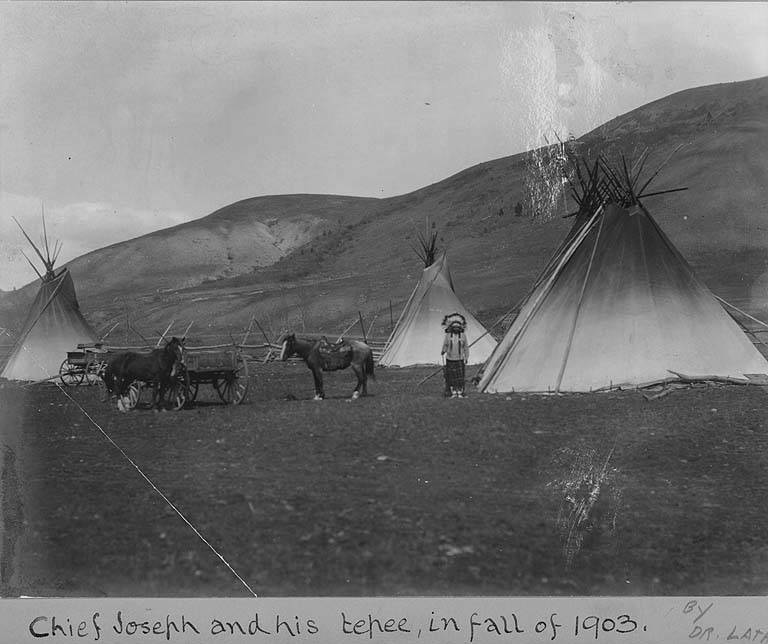 During the mining boom much of the freight and supplies were hauled into the Buffalo Hump during the winter. Snows in this area often piled up from five to fifteen feet deep. 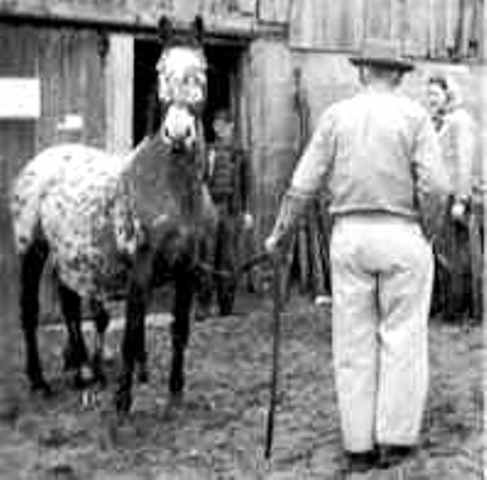 Rock was the first Appaloosa ever shown in open stock horse classes at the Cow Palace, with a woman rider to boot, the pair was particularly unusual. 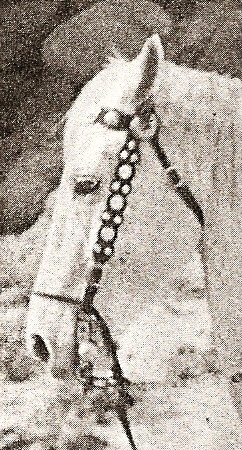 Under Myrtle Brown's guidance, he was a hackamore and bridle champion. 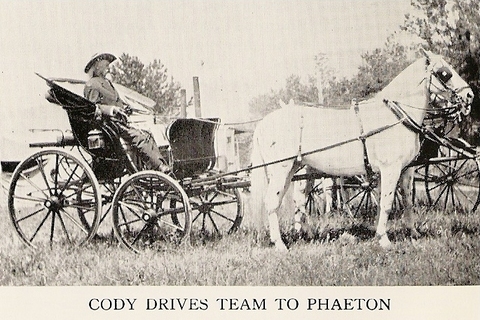 Cody, however, too to the road again with the Sells-Floto Circus. 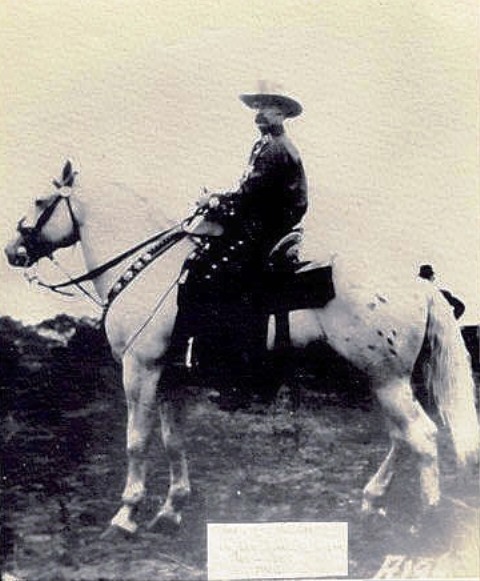 He greeted the great audiences under the white top, from his saddle. 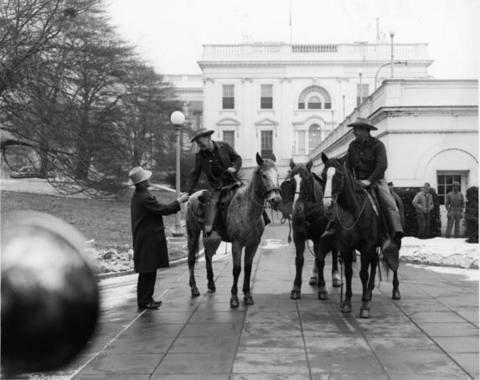 But he was forced, because of his waning strength, to lead the parades as the driver of a team of white horses hitched to a phaeton. 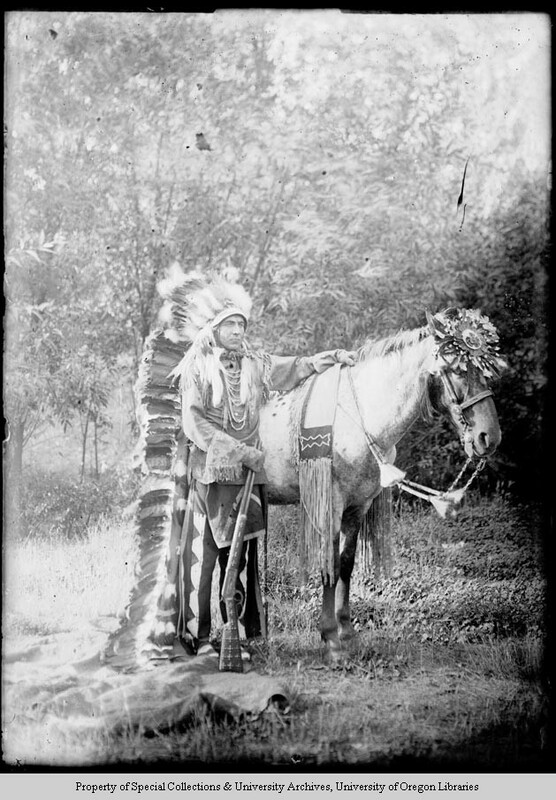 Even so, he was still a striking figure as he skillfully "handled the ribbons." 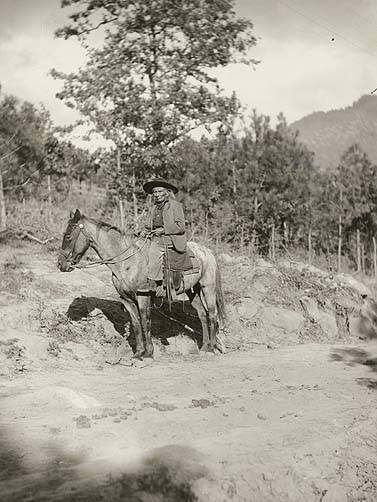 Cody often said: "Back in 1870 I could drive any horse that evver had a bit in his mouth and a lot that hadn't." 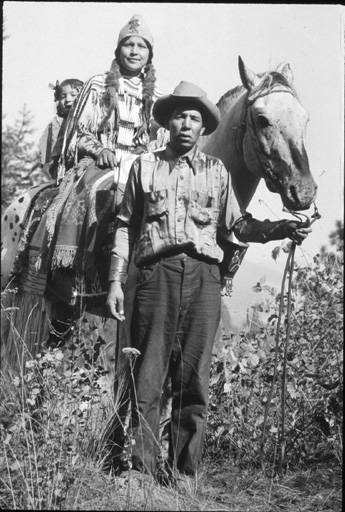 ANd he could drive just as well in his later years as in his youth. 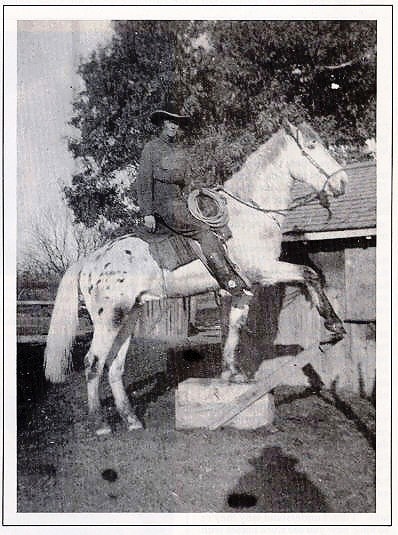 William F. Cody's last public appearance was in Virginia on November 11, 1916. 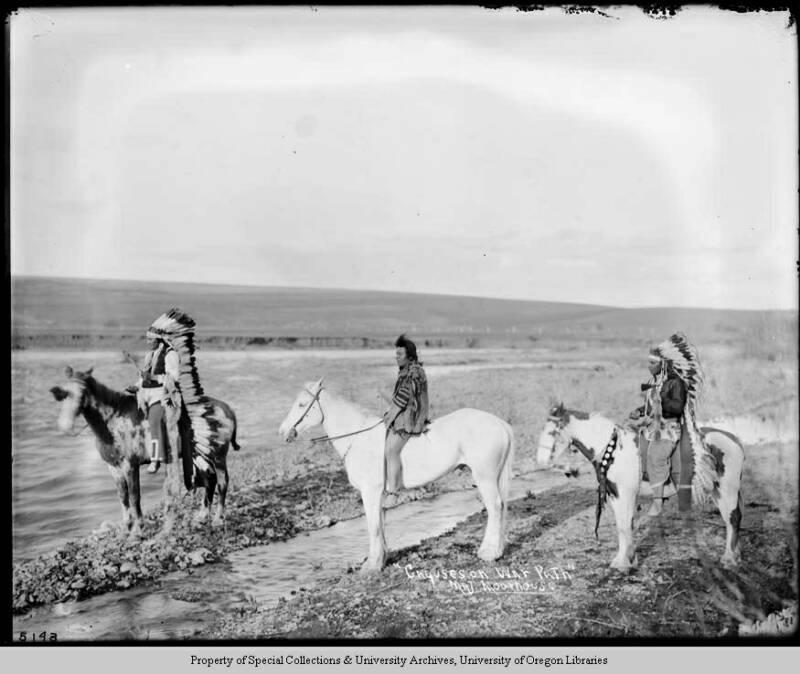 Soon afterwards he came to Denver, a sick man. 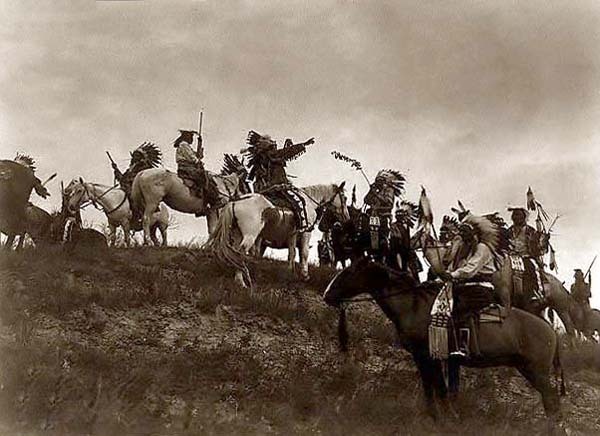 And on January 10, 1917, Buffalo Bill rode over the Great Divide into the sunset, to his last camp ground. 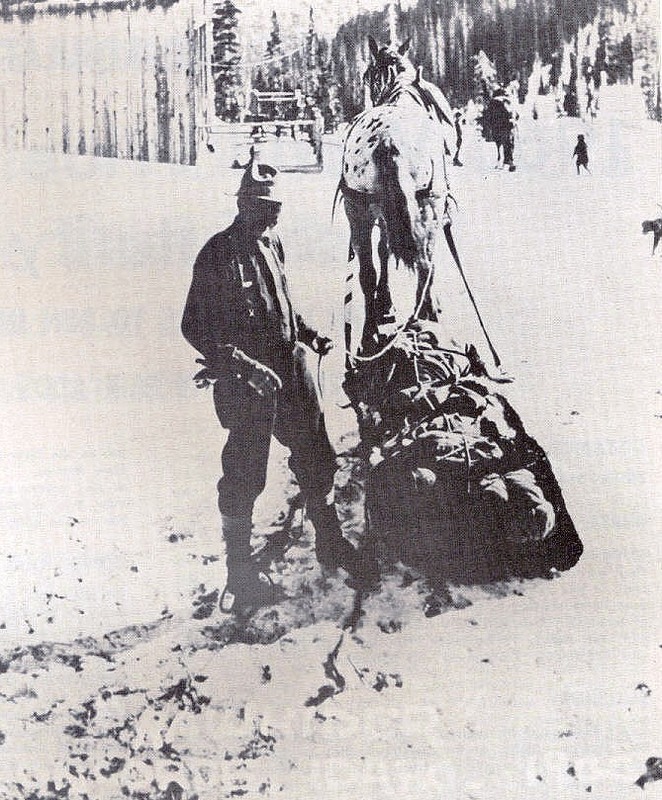 His body was laid to rest on Lookout Mountain, west of Denver. 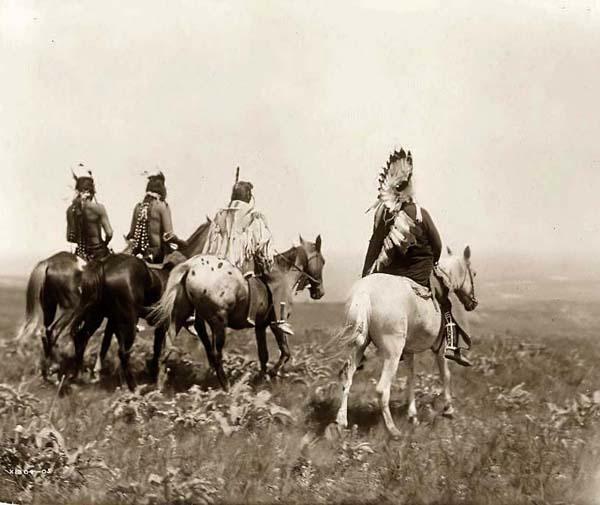 There his grave today commands a view of the great plains which the Colonel so loved. 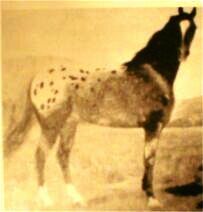 An old photo of the reference sire - The Geo. 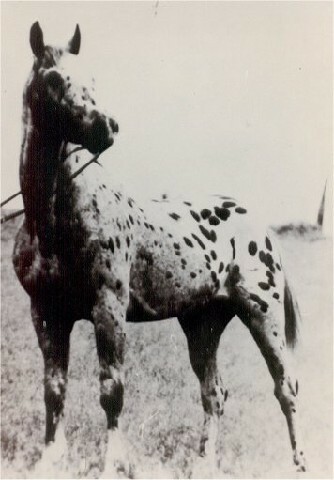 Webb Leopard - antedating the stud book was recently discovered and made available by Mrs. Gene Webb, St. John, Washington. 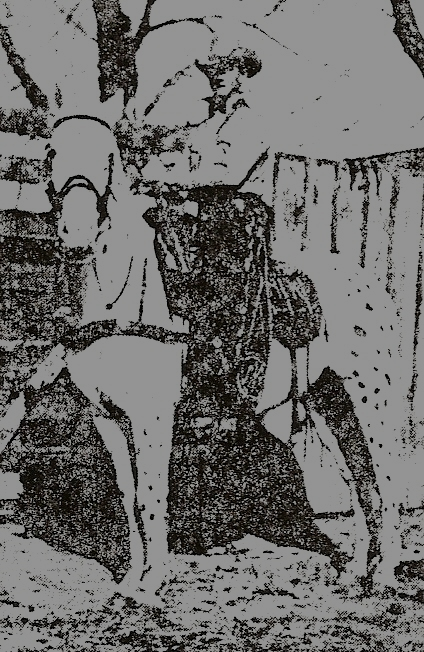 Floyd Hickman recognized his value as a foal but attempts to acquire him failed. 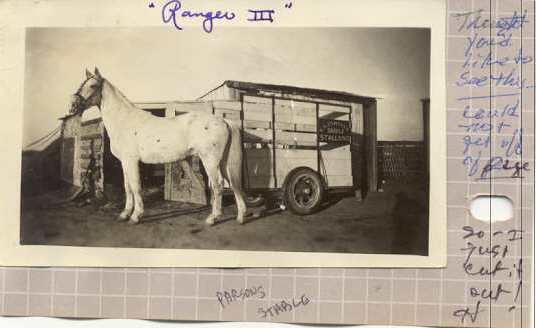 He was owned and used by the Lam Brothers before being sold to Geo. Webb. 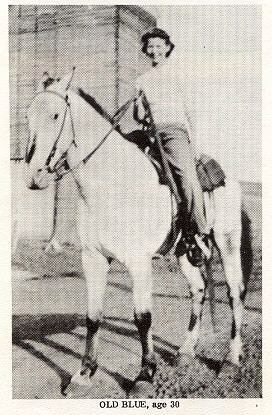 Lester Riley and Bert Grieb used this horse rather regularly. 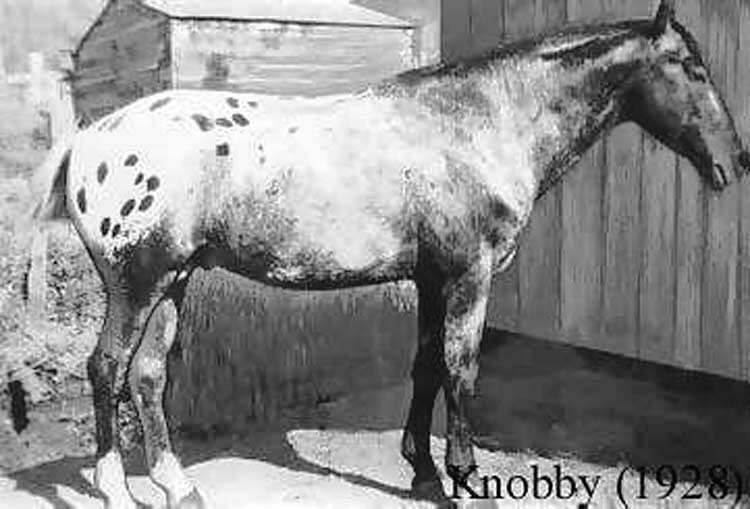 He is the sire of such mares as Lavendar and Riley's May #464. 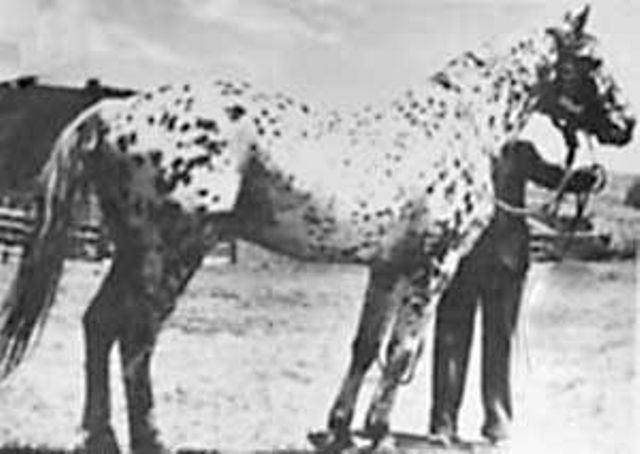 He is the maternal grandsire of Maize, who produced Storm Cloud F by Red Eagle, and Riley's Purple Doll, dam of Polkadott Toby by Toby II. Among his descendants, Polkadott Toby and Marjax Galaxy probably resemble him most closely. 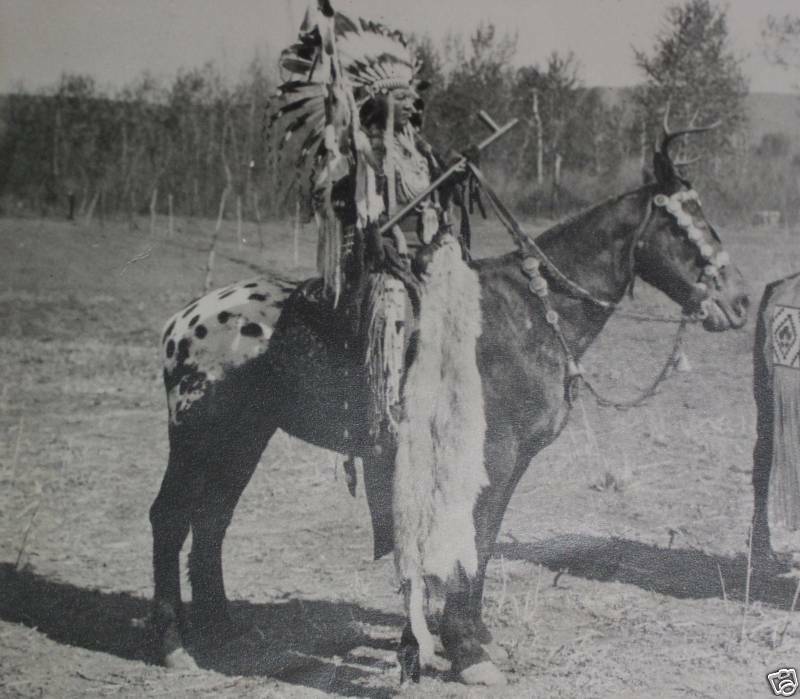 This stallion was known simply as "King" by his owners. 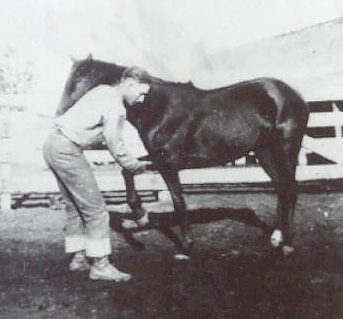 He was taught to walk on his hind legs and could maintain this position entirely across Mr. Webb's barnyard. 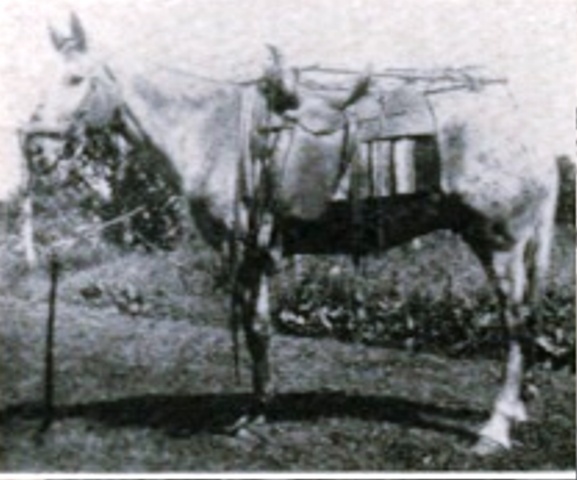 It is thought that rigging in the photo was that used in his training. 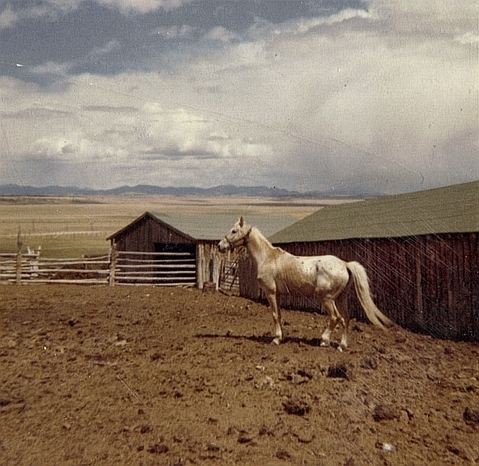 It is know that this stallion was sold in California, but the buyer's name is long since lost. 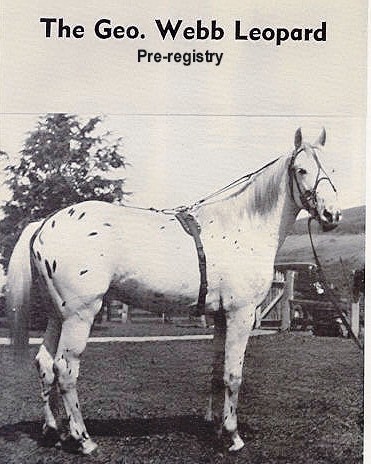 In the event this horse is recognized, or may thereafter have been registered by someone in California, your commuications to the breed journal would be appreciated. 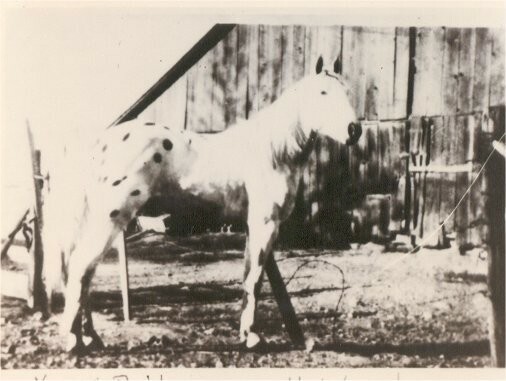 This early day picture sent in by National Director Elvin Blevins, Wynnewood, Okla., was taken in front of a livery stable in Warwick, Oklahoma in 1915. 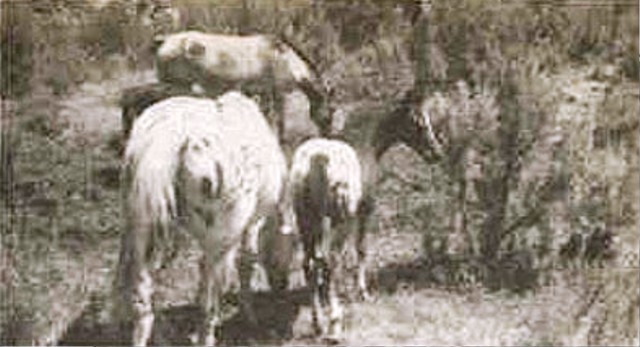 The Appaloosas were owned by a veterinarian named Nathan Sellers. 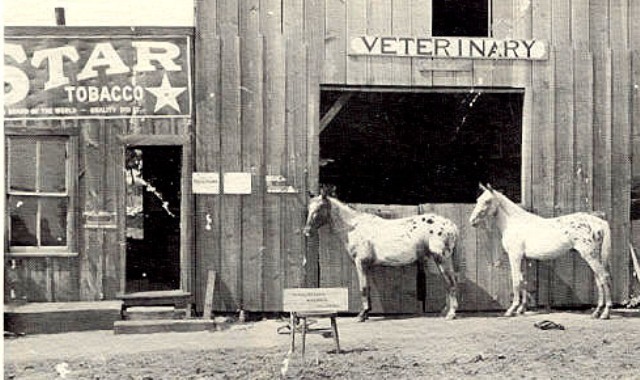 He also operated the livery stable there besides his veterinary practice. 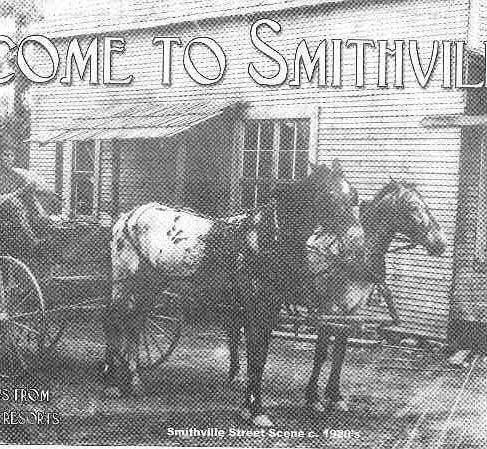 He made his veterinary calls in a buckboard pulled by this team of Appaloosas. 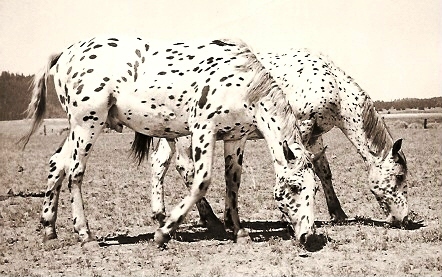 The horse on the left was his stallion and the one on the right was one of his colts. 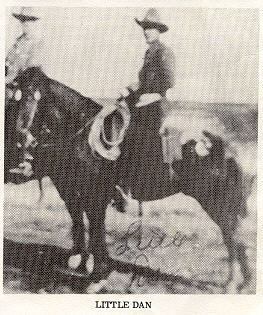 The picture was given to Jess Sadler of Elmore City, Oklahoma in 1916 when he was a lad of eight years of age. 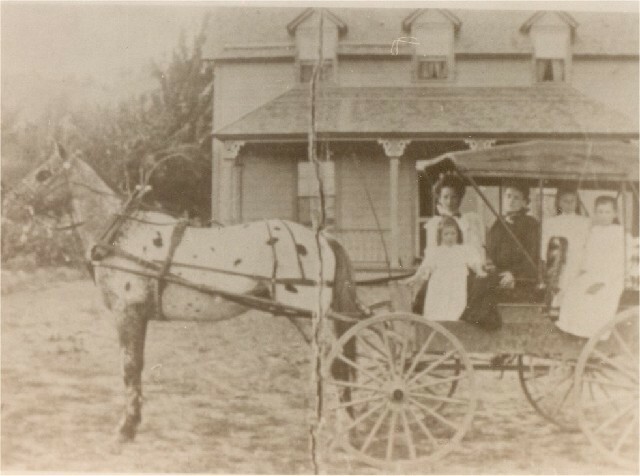 At the time the Sadlers lived three miles north of Warwick. 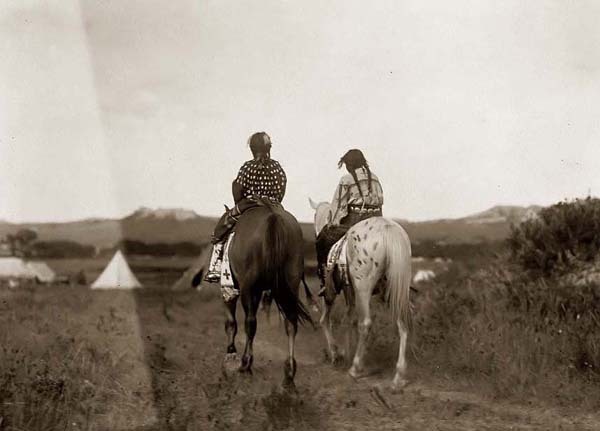 Quite often young Jess would ride along with Mr. Sellers on his veterinary calls. 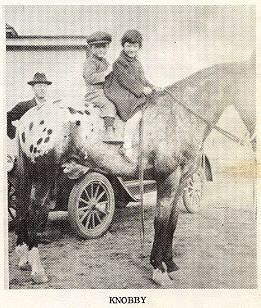 Every time Jess and his older brother were in Warwick they would stop by the livery stable to admire Mr. 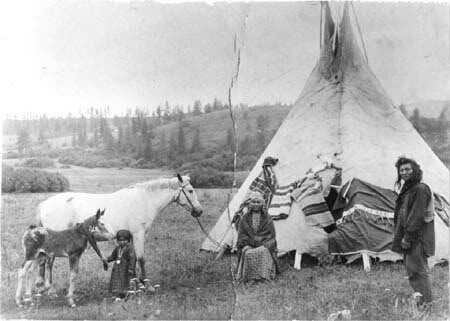 Sellers' Appaloosas. 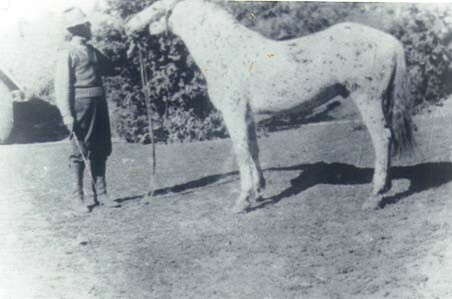 Noting the young boy's intense interest in the horses, the old fellow would often sit and talk for hours about them. 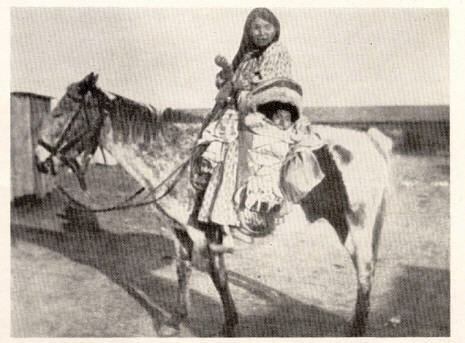 One day he gave Jess this picture, which has been one of his prized possessions for the past fifty-one years. 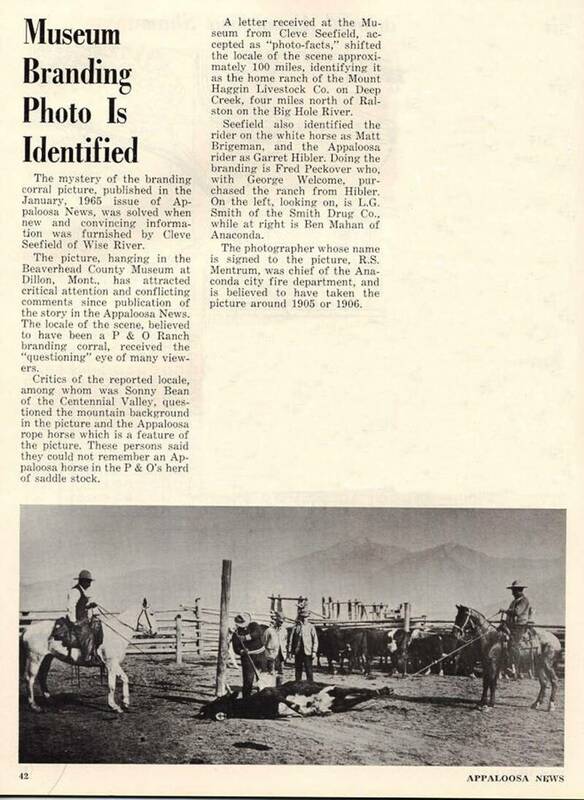 With a magnifying glass you can read the signs on the wall of the stable. One man is running for office and the other sign is an advertisement for Tinsley Tobacco. The sign on the stool states that Mr. 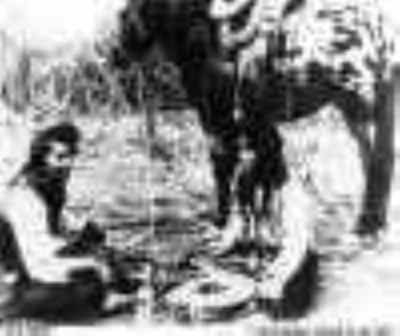 Sellers was a veterinarian.